When Roy Curtiss III won the Chicken of Tomorrow contest in 1950, he helped change the course of poultry history. “Tomorrow’s” chicken became today’s chicken, the source of 95 percent of chickens on American dinner plates. Many poultry scientists would have retired on this achievement, but Curtiss not only was not a poultry scientist, per se, he was only 16. The Chicken of Tomorrow contest, though chronicled in upstate New York newspapers, is not on Curtiss’ curriculum vitae, although he counts it as one of his proudest moments. What is on his C.V.: 385 publications, 37 U.S. patents, 10 pending, three licensed vaccines for poultry and a raft of research, including new ways to use microbes to combat intestinal inflammation and even cancer. He once was called a “60-year-old superstar of science,” then, a “70-year-old superstar of science.” With his flowing white ZZ Top beard, he could be a rock star of science and, at 81, his head is overflowing with ideas, many prompted by his recent move to the University of Florida and the diverse, sometimes wacky, issues that face the state. 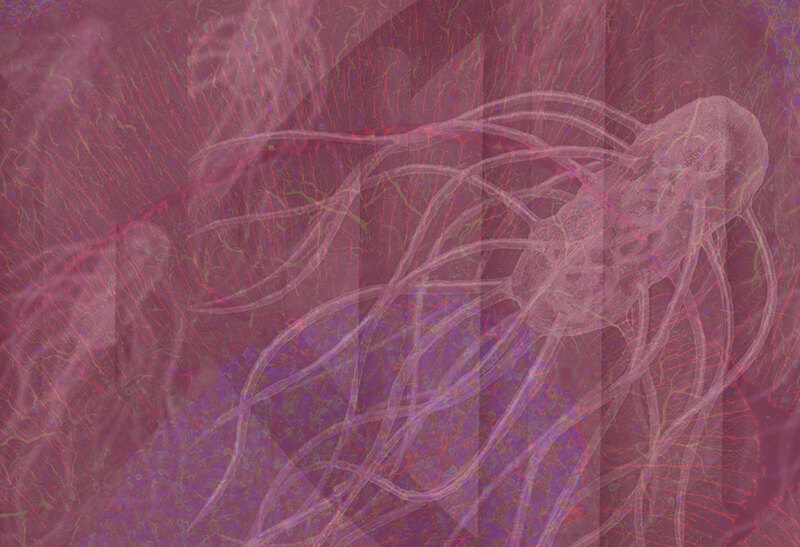 He is casting a wide net for collaborators, and why not? His work in microbiology and molecular genetics has applications in a broad range of disciplines, all open to him at UF, one of only a handful of universities with agricultural, medical and veterinary colleges on one campus. One of Curtiss’ main tools in developing vaccines is harnessing salmonella’s extreme virulence, using it to help, rather than harm its host. No doubt, salmonella is fearsome, the number one cause of food-borne illness in the world. In addition to food poisoning, the bacteria can cause typhoid fever and gastroenteritis, among other illnesses, some fatal. Prime transmission sources are poultry, eggs and pork. Curtiss, however, says salmonella’s aggressive efficiency at infecting a host also makes it a particularly good tool for vaccine delivery. The trick is to get salmonella into cells and then turn off its nastiness before it can cause harm. A normal vaccine uses a weakened or killed version of a pathogen. When it is introduced into the body, the immune system recognizes the pathogen, shifts into gear, and subdues an infection before it can do harm. The antibodies produced to fight the infection remain in the body, providing protection against future infections. Curtiss genetically engineered live salmonella bacteria that enter the host, carrying the DNA of an infectious agent. Most recently, he has used genes from the bacteria that cause pneumonia, and that vaccine is ready for clinical trials. Once in the host, salmonella ordinarily would become a protein-making juggernaut, entering and killing cells in its path. Curtiss, however, programmed the salmonella genome to shut down genes whose expression would cause harm and turn on other genes to synthesize proteins that induce immune responses. This primes the immune system to fight the targeted infectious disease agent whose genes are expressed by salmonella. Programming the salmonella to self-destruct adds another safety feature that keeps salmonella from persisting in the body or surviving if released into the environment. The vaccines can be administered orally, rather than by injection, making them less expensive and easier to dispense, particularly in resource-poor areas of the world. Eliminating a syringe and needle, for example, saves more than $1 per dose. Curtiss also says large quantities can be manufactured quickly and freeze-dried, adding to their shelf life. The pneumonia vaccine, for example, is designed to be portable and safe for infants, protecting them from one of the leading causes of death in the developing world. That research has been supported by the National Institutes of Health and with a $15 million Grand Challenge in Global Health grant from the Bill & Melinda Gates Foundation. The technology has potential in preventing other diseases, too, such as tuberculosis, typhoid fever, influenza, hepatitis and AIDS. Curtiss has used the same technology to develop an immunocontraceptive vaccine. In this case, salmonella ferries genes for sperm or egg proteins, and those proteins prompt an immune response that blocks fertilization. In mice, the effect is reversible, but in some cases the offspring are rendered infertile, so more work would be needed to perfect the vaccine for human use. Still, he says, that might be just the ticket to solve the python invasion in the Everglades, where the infertility of later generations of pythons would not be a concern. “I’m all for trying to make an impact where I can,” Curtiss says. Curtiss holds patents on vaccines for farm animals — pioneering the first plant-based vaccine — and has others in mind. Vaccines for farm animals, he says, can go a long way to mitigating the societal problem of antibiotic resistance, and boost human health, too. Many illnesses are caused by pathogens transmitted from animal to human, through foods like meat, poultry, eggs and milk. Chickens, pigs and cattle can be vaccinated against E. coli or salmonella with an intranasal spray or via their drinking water, controlling the infections at the source and keeping harmful microbes out of the food chain. Vaccinating farm animals also decreases the need to use antibiotics to keep livestock healthy. About 60 percent of antibiotic use in the U.S. is for agriculture. You can eat your chicken dinner in peace, in part thanks to Curtiss, although he still recommends hand washing during food preparation and thorough cooking. In 2015, he turned his attention to cancer. He knows salmonella well and thinks he can use the bacteria’s unusual appetite for cancer cells, especially in tumors, to good effect. For salmonella, a cancerous tumor is like a feast. Salmonella microbes normally multiply slowly, dividing perhaps twice in a day, Curtiss says. But in the presence of cancer cells the bacteria divide every hour, gorging on a tumor and becoming a potent weapon. As with his vaccines, the trick will be a balancing act: how to keep salmonella safe for a patient but deadly for a tumor. In mouse studies, Curtiss has engineered salmonella bacteria to avoid healthy cells, unleashing their toxins and other lethal weapons only inside the tumor. Curtiss is also developing a poultry vaccine against campylobacter, the second most common cause of food-borne illness in humans, and is exploring how to use strains of cyanobacteria, which derive their energy from photosynthesis, to develop biofuels. In collaboration with a colleague at Arizona State University, he sent vaccine samples to the International Space Station to see if microgravity prompts a biological response that might be useful. He wonders, too, whether there is a way to use vaccine strategies to alter the microbiome to make animals and humans healthier? Microbes and vaccines derived from them are the key to human health, he says. Preventing disease, rather than diagnosing or treating it, is the way to improve the human condition. Curtiss says he has a knack for being in the right place at the right time, and that might have been true in 1956 when the freshly minted graduate of Cornell, armed with a bachelor’s degree in agriculture, attended a meeting at Cold Spring Harbor. Also in attendance were others who would become luminaries in the nascent field they gathered to discuss. They would be among the first generation of scientists to call themselves molecular biologists. The double helix structure of DNA had only been discovered in 1953, and science was pulsing with the possibilities. Curtiss, who got his microbiology Ph.D. in 1962, was among the eager young scientists. By 1973, when the first breakthroughs in recombinant DNA were published, Curtiss had a thriving research program at the University of Alabama at Birmingham. It had become increasingly clear to him that recombinant DNA, combining two DNA strands that do not occur together naturally to create new genetic material, could hold controversy. By 1975, Curtiss had joined with many scientists around the world in voluntarily suspending their experiments using recombinant DNA, as controversy swirled about genetic engineering. About 150 scientists agreed to meet in Asilomar, a peaceful, coastal conference center in California, to hash out how to move forward with a technology that appeared to hold great promise, but perhaps hazards as well. Were guidelines needed, and if so, what kind of guidelines? The conference did result in guidelines, and research resumed, although controversies continue. Curtiss acknowledged the rising tensions and recognized that fear of the technology would need to be addressed. Rather than handling it with PR, he used science. He went to work and created weakened mutants that self-destruct if they escape the lab, the basis of his vaccine technology today. Today, the word “pioneer” is often attached to his name, but for his part, there is more pioneering yet to do. He is a member of the National Academy of Sciences and a fellow of the American Association for the Advancement of Science. In 2014, the American Society for Microbiology gave him its Lifetime Achievement Award, putting him in a select group that numbered only 20 with his award. Curtiss recalls the backyard in upstate New York, where he grew the sunflower that won him a blue ribbon at age 5, and where his first thoughts about why tomatoes came in different colors led him on a journey into Mendelian genetics. 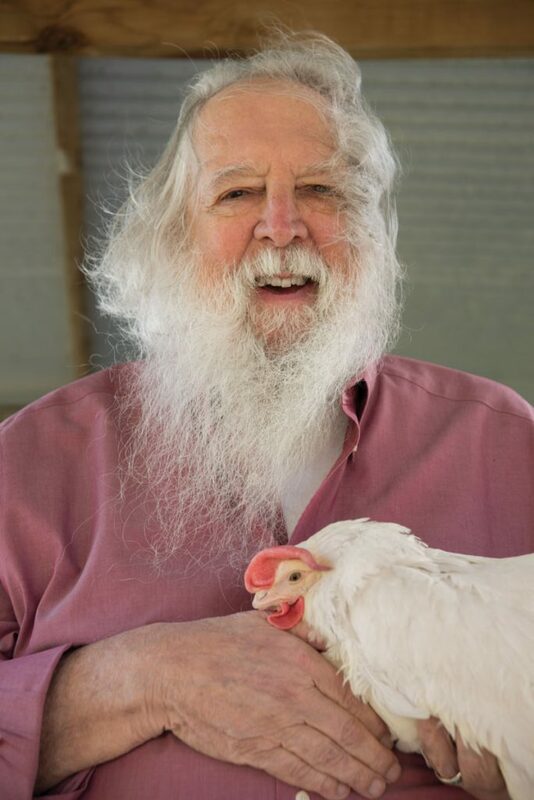 His first work testing for salmonella in poultry was in 1948 in high school. And then there’s the chicken of tomorrow. After World War II, the problem was skinny chickens. 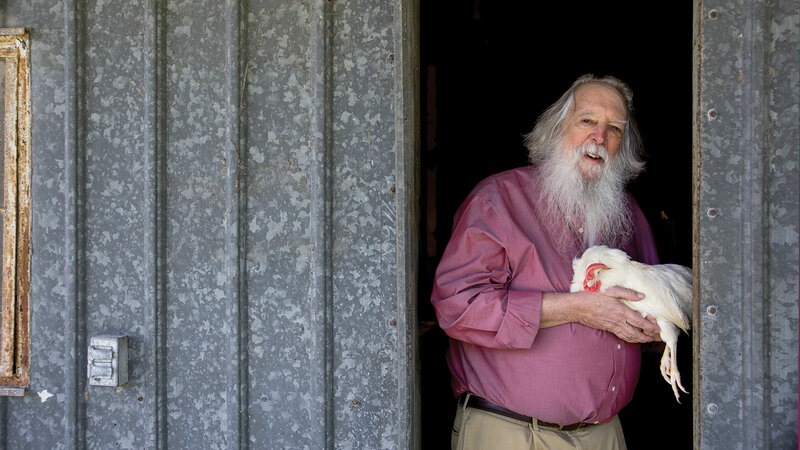 He figured he could get fatter chickens with hybrid vigor and crossed a White Cornish English breed with a White Plymouth Rock American breed. Today, we buy them in the supermarket, thanks in part to his 4-H project. He went on to Cornell, where he traded chicken and eggs for hamburgers and pork chops from his classmates in animal sciences and for ice cream with classmates in dairy science. His youthful reading material was the Burpee seed catalog and a shelf full of every Cornell extension bulletin he could get his hands on. Academics might call his approach interdisciplinary; indeed, today he might, too. But the boy in the backyard might have called it curiosity. Science is a smorgasbord to Curtiss, and it’s an approach that has served him well since childhood. He has been a microbiologist, a geneticist, an immunologist, a vaccinologist, a molecular biologist, a student and a truant. About the only thing he has given up is truancy. He says there is way too much to do to retire, and too many stories to tell, many including a chicken. Curtiss says his father was fond of motorcycles and careened into a ditch one day while giving a ride to his sweetheart, who was to become Curtiss’ mother. As she climbed out of the ditch, his mother-to-be issued an ultimatum: “It’s me or that motorcycle, take your pick.” The reason for the crash? His mother also is due some credit for his work ethic, his lab actively recruiting students, as one ad says, for his “research family.” On his mother’s 90th birthday, the whole family together, she announced her retirement. About 16 months later, she died.